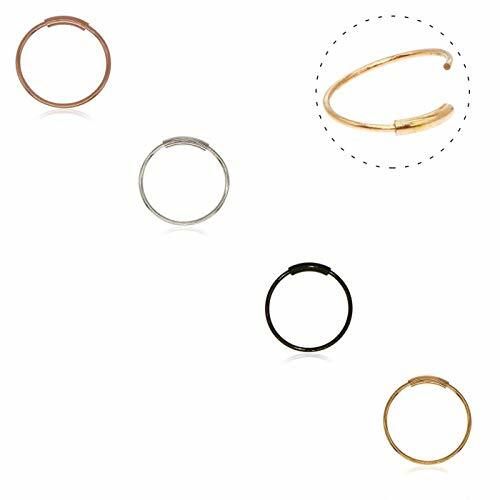 Polished seamless earring hoops are made of stainless steel, smooth to touch and comfortable to wear, one can wear them for a long time for they are of good quality. Less is more, classic earring hoops are in loop design, chic piercing rings are suitable for both men and women, can match with most of your outfits in different styles. To wear such piercing rings on your body part such as lips, nose, ear, eyebrow, helix, and more may help to show your personality, and you will be more charming and attractive. Loop earrings are easy to put on and off by twisting it off and bend it back, suitable for daily wearing and many occasions such as prom, party, wedding ceremony and more. Warm notice: small parts, please keep away from child. If you have any questions about this product by DOOMUUT, contact us by completing and submitting the form below. If you are looking for a specif part number, please include it with your message.